Want to Give Away eBooks in Person? Now You Can! Amazon Now Out of Author Services - Leaves Void! How to Select the Right POV For Your Book? Writing Retreats: Is There a Perfect One for You? Authors: Are You Taking Care of Your Eyesight? Are you Getting Reviewed by Influencers in the Self-publishing Field? 3 Tips on Writing about Your Life or a Biography of Interest! 7 Tips to Creating a City-Guide Audio Book - Extra Author Income? 2 Simple Tips for Authors to Automate Book Marketing and Save Time! 9 Topics Authors Should Think About Before Quitting the Day Job? How to Build Your Book Creation Team - Do You Have to Do it All? 8 Tips for Authors to Avoid Over-Plotting - Too Much Story in Your Story? 4 Tips On Non-Fiction Booklets: Do Fewer Words Mean More Money? Are Coloring Books in Your Self Publishing Future? Low-Tech or High-Tech: Which Kind of Author Are You? 7 Book Marketing Tactics to Increase Engagement With Your Readers Now! The 3 Essential Tactics for Authors to Sell More Books on Amazon? 3 Steps to Creating Author Story Slams with Loyal "Brand Ambassadors"
Are You an Author Writing for Love or Money? Why You Should Join or Create a Collective Pen Name? 3 Author Tips to Leverage Conferences Outside the Digital World! 3 Ways for Authors to Engage and Win Over Reporters and Bloggers? How to Use Short Audiobooks: An Unused Book Marketing Tool? Is Text Messaging the New Book Marketing Star? Does Your Blog have Book Potential? 10 Creative Blogging Topics: What Should Authors Write About? Tips For Keeping An Organized Book Portfolio To Keep Sales Alive! Create An Author & Book Media Kit: A Compelling Story? The Working/Writing Vacation: Increased Productivity or Too Much Multitasking? How to Build A Street Team: An Author's Best Set of Friends! How Frequently Should You Share (And Publish!) Your Writing? Writing for the Ear: Can Audiobooks Improve Your Work? Is Crowdfunding the Right Move for Authors? Maximize Your Book PR Spend: Recruit Bloggers Like A Shepherd! Tips To Engage Your Readers With Google Hangouts: Author Test Drive! 3 Writing Tips From Successful Authors : May the 4th be With You! 3 Great Ideas to Make Your Back Matter Work for You! Authors Step Out of Your Comfort Zone: Create Your Own Radio Show! How Many Editors Does An Author Need? How to Build and Market Your Non-Fiction Book: Articles and Essays! How to Create an Author Mastermind Group: Absorb Success! The Breakfast of "Champion Authors": Serial Novels are on Fire! 5 Tips to Create a Book Signing: Plus How to Achieve Awesome! 4 Reasons to Stop Submitting and Start Self-Publishing: Believe! A Plotter or a Pantser: Published Author or Writer it Pays to Know! Publish for your Reading Audience: Find the Fish and Feed Them! Marketing Goal of the Week...Use Your Book As A Business Card! Marketing Goal of the Week...Send Out ARCs! Marketing Goal of the Week...Publish Your eBook! What Can You Do With Your Extra Books? Marketing Goal of the Week...Get a Personalized Marketing Plan! Marketing Goal of the Week...Write Your Next Book! Marketing Goal of the Week...Go Guerilla! Marketing Goal of the Week...Create An Audiobook! Infinity Publishing Holiday Book Sales Offer! Why is Everyone Selling My Book Except Me? Marketing Goal of the Week...Book A Radio Interview! Is There a Special Hook to Your Marketing Plan? Marketing Goal of the Week...Get Ready for Holiday Book Sales! 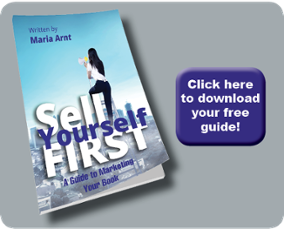 Marketing Goal of the Week… Sell Some Books! We're Celebrating Henry David Thoreau's Birthday...Will You Join Us? Why Research Your Characters – You Already Know Them, Don’t You? Marketing Goal of the Week...Add Your Phone Number! Happy 4th of July Authors! What Are Bookstores Looking For? Why Research Your Next Book - You Know The Subject Matter Don’t You? But the President Wants Meatloaf! Author Interview: J. L. Moore, Standing True to our God? New Books Getting Listed on Amazon and Other Distribution Channels…How Does it Work? Give the Gift of Publishing! Book Excerpt: Teach Your Child the Multiplication Tables: Fast, Fun & Easy with Dazzling Patterns, Grids & Tricks! She Takes on the World...Indie Author Takes On Amazon! 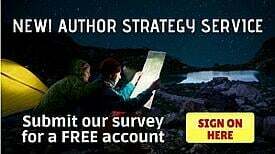 Self-published Authors, Needing Money to Write? What is Your Book Marketing Season? Eco-libris highlights Infinity Book! "Play on Words"
Infinity Author Mike Pollock reviewed in The Journal Of the American Osteopathic Association Magazine! Eco-libris highlights Infinity Book! "X-Posed: The Painful Truth Behind Yoga & Pilates"
Eco-libris highlights Infinity Book! "My Name is Grace"
Eco-libris highlights Infinity book: "Raven Wings and 13 More Twisted Tales"
Eco-libris highlights Infinity books! "Good Management is Not Firefighting"
Take Your Self Published Book on Vacation with You!!! Eco-libris highlights Infinity Books - "What Love Is A-Z"
Eco-libris highlights Infinity books! "The Last Original Idea"
Top Selling QVC Host & Author! Success at the Pearl S. Buck Writer’s Conference! Book Publishing - Why Market Your Book? The App Trap: What are They and Why should Authors Care? Should your Book have an Index? Book Publishing: Why Make it Great? Author Horoscopes: Reach for the Stars! New Year … New Beginnings … New Authors … New Predictions! Infinity Author interviewed on Internet TV! Infinity Novel Nominated for Prestigious 2011 YALSA! Writers - Test Your Vocabulary Skills! Self Publishing: My How We've Grown! WWYC = Write When You Can – Will Texting Change the World? Author Profile- Dr. Sherry Showalter, "Healing Heartaches, Stories of Loss and Life"
Monday, November 1 – National Authors’ Day! Promote Your Book at Your Next Reunion! Market Your Book Like it’s Prime Property! Do You Really Need a Pen Name? Authors and Responsible Writing: Just the Facts Ma’am! 7 Great Take-a-ways from Authors’ Conferences: the long lasting benefits! Save the world: Go Green with Self-publishing! Fraternizing with the Enemy to Sell Books: Self Publishing Authors Unite!